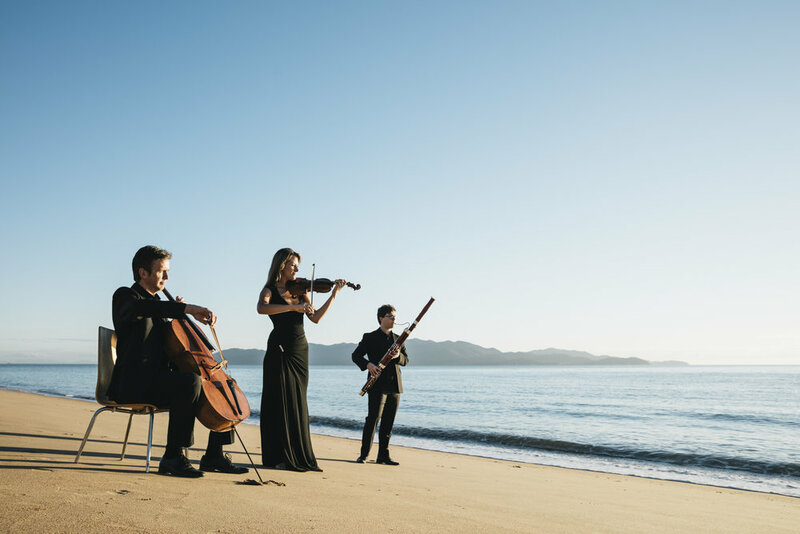 Enjoy a unique combination of exquisite music and tropical winter warmth at the Australian Festival of Chamber Music. Explore the natural beauty of Townsville with its stunning coastline, beaches and lush rainforests. Take a dip in the ocean before immersing yourself in some of the world's finest chamber music. Experience an internationally acclaimed Festival program with more than 30 musicians visiting from around the world. Australian Holiday Centre are proud to be the booking agent for this year's fabulous Festival. Our Festival holiday packages include three nights accommodation and tickets to three Festival concerts. It delivers the perfect combination of music and relaxation, with everything booked for you. Choose from three exclusive packages with the option to add extra nights and additional concerts. This popular package includes the glitz of Opening Weekend with three of the most popular concerts of the Festival, and three nights accommodation. The final weekend of the Festival is always exhilarating with a hugely entertaining Farewell Concert, with most of the artists still standing taking part in the fun! Package includes three concerts and three nights accommodation. This mid-week package is the perfect introduction to chamber music and includes three one-hour sunset concerts over consecutive days, and three nights accommodation. It’s a glorious balance of fine music and winter relaxation. We're open Monday to Friday from 9am to 5pm ACST time. For more information on this fabulous festival, download the Australian Festival of Chamber Music Brochure (8MB).